Perhaps you have your hotels and cities planned but need help with finding the right tours to enhance your experience, or some insider information or have your airfare but need hotels and restaurant recommendations. 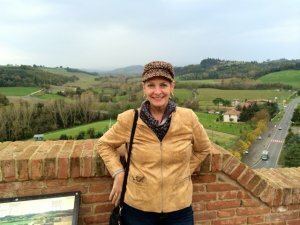 Schedule a consultation with Ginger Pozzini, Italian Travel Specialist. Find out how she can help design your trip of a lifetime. An initial consultation fee of $75 is a great way to get expert advice and support for the things you need to round out your trip. If you choose to expand to our comprehensive or concierge trip planning service, we will give you a quote for our expanded services. • Planning number of days to spend in each Italian city to see the highlights. • Recommending a personal guide to bring a historic site or experience to life. • Finding the perfect hotel, villa or apartment to live out your Italian Adventure. • Planning activities for day tours for cruise ship ports within Italy. • Assessing the areas you want support from itinerary planning, finding the perfect accommodations, things to see and do from each base. To set up your consultation please fill out our Consultation Survey Form and submit your payment. You will be contacted within 48 hours to schedule your personalized consultation call. * Initial Consultation Call is for 1 hour and in non-refundable.